Imagine this: Imagine yourself on a wildlife mission laying and checking camera traps, getting up close and personal with iguanas and snakes, testing a raft that you build on your own, petting 'em animals and showing them some love, magical night walks, bird watching and an exclusive herpetology lesson from Nat Geo Adventurer Gerry Martin. Interact with the many species of life forms that we share this land with while we stay in the company of world famous wildlife conservationist and the first Nat Geo adventurer of Indian origin - Gerry Martin. Gerry Martin's first childhood ice-breaker with reptiles was with his grandfather who introduced him to the curious idea of observing them instead of reacting negatively to them. Replacing fear with intrigue changed a forgettable experience into a life long love affair. Gerry went on to develop his curiosity for herpetology under the tutelage of the legendary Romulus Whitaker. As a young assistant curator, Gerry’s duties covered the care of all the reptiles at the park including the breeding group of king cobras. In 2000, Gerry became National Geographic Channel’s first Indian ‘Adventurer’- a face for the channel in Asia. He later transitioned from Nat Geo and television to develop the Gerry Martin Project --opening up his knowledge and love to curious minds who come looking to interact with these even more curious creatures. Located 180km Bangalore just past Mysore, the Martin Farm is 10 acres of lush green paradise by a small lake. Home to plenty of animals and plants. iguanas, donkeys, dogs, reptiles and more housed in safe zones. Think Gerry Martin and then think of his farm that should help paint the picture. 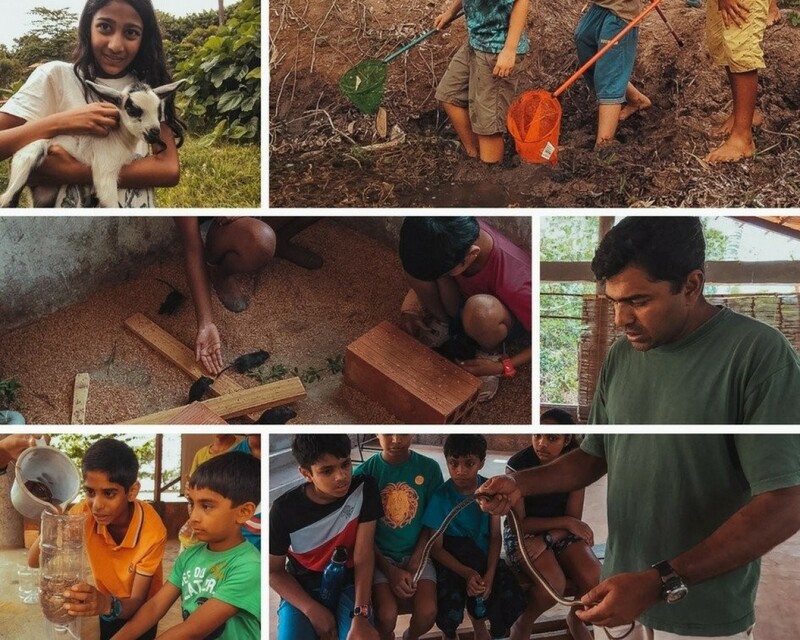 For families and groups that would like a hands-on experience with nature. Especially for kids across all age groups. To pick up hands-on skills, understand and get comfortable with the various forms of animal life around us.